Now that it’s almost known and looks certain that Avengers 4 Trailer will be coming today, it’s still not clear at what time exactly it will be arriving. But according to the claims by a Twitter user and also a big Marvel enthusiast Daniel RPK, who’s known for making correct predictions, revealing key information regarding every MCU film that has come in the past, the Avengers 4 trailer will be landing today at around 9 am EST, in the US. You can also see the Twitter post by Daniel RPK himself, below, in which he claims that the trailer will be arriving at the time that he’s written in it. That simply means that in India it will be there at around 6:30 pm or probably 7 pm. Set your ‘alarm clocks for today evening’ now. Or if you have a reminder feature, you can try that too. This also means that despite no official word about the biggest MCU movie to date, Marvel Studios and Disney will definitely be revealing the first ever footage from the movie, today itself. Because there is no other specific reason to ‘not believe’ that it would come. Many previously predicted dates about the trailer’s release turned out false, and some were canceled off too. So, now there’s nothing much left to just keep dragging the date any further. Because Marvel Studios head Kevin Feige had told himself, that the trailer will be revealed, lately, but before the end of 2018. 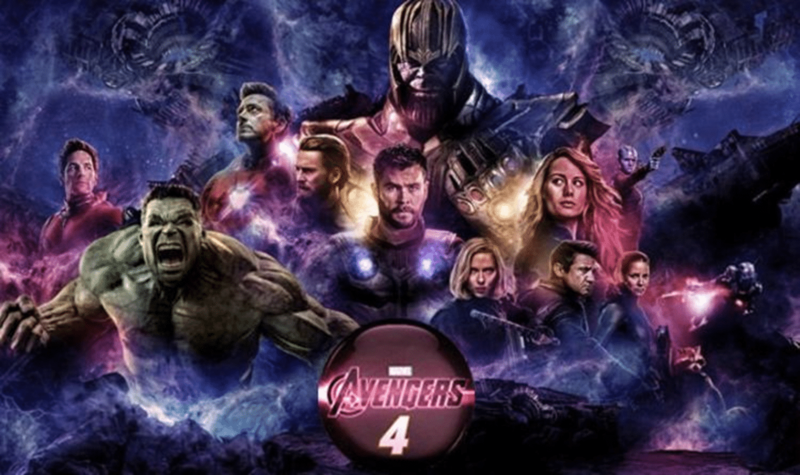 The Avengers 4 movie stars Robert Downey Jr. (Iron Man/Tony Stark), Josh Brolin (Thanos), Chris Hemsworth (Thor), Scarlett Johansson (Black Widow/Natasha Romanoff), Jeremy Renner (Ronin), Mark Ruffalo (Hulk), Chris Evans (Captain America), Karen Gillan (Nebula), Paul Rudd (Ant-Man), Don Cheadle (War Machine), and Brie Larson (Captain Marvel), among others. The movie will be a culmination of the entire storyline regarding the Infinity Stones and the Infinity Gauntlet that started with 2008’s Iron Man. It’s been 10 long years since the whole universe began and has attained an unmatched level of craziness and popularity as far as the superhero movies are concerned. The untitled Avengers 4 film is directed by Joe and Anthony Russo and distributed by Walt Disney Studios Motion Pictures.